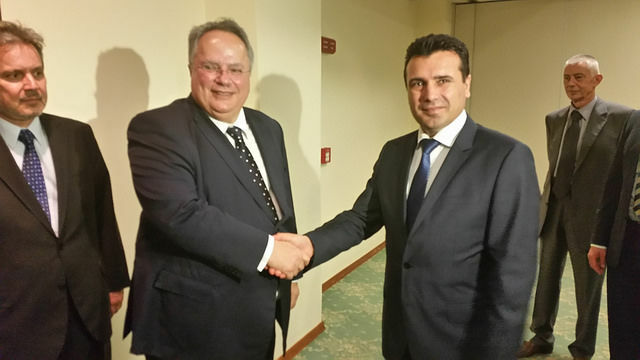 EXCLUSIVE / In a wide-ranging interview, Greece’s foreign minister on Sunday (16 July) outlined his country’s position on the failed Cyprus reunification talks, scolding UN envoy Espen Barth Eide and rejecting “interventions rights” for Turkey in any future settlement. He also said we should not expect any immediate breakthrough with FYROM. 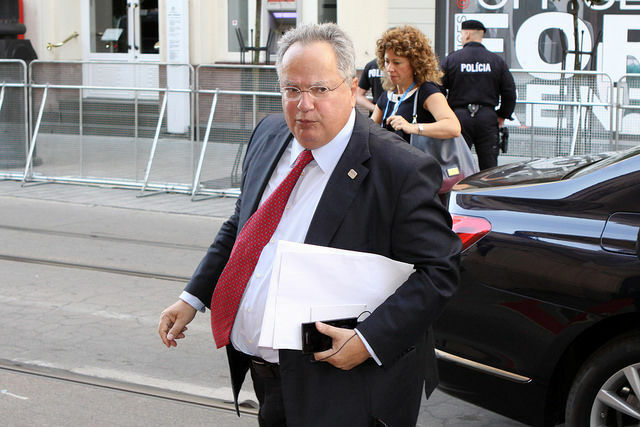 Nikos Kotzias is Greece’s Minister of Foreign Affairs under Alexis Tsipras’ Syriza-led government. He spoke to EURACTIV.com’s Sarantis Michalopoulos. It has been 10 days since the Crans Montana conference on the Cyprus issue. Why did it fail? What could have been done better? I would not use the phrase ‘it failed’. I would say that it did not have the results we all expected. From our point of view, some important steps were taken. Most importantly, the issue of security and guarantee has finally been put on the agenda of the negotiations. For the Greek government, and for me personally, the main feature of the international aspect of the Cyprus issue is that of occupation and the right or not for intervention possibilities. I think that Turkey is still living in a pre-modern period as if we are still in the age of colonialism and protectorates. It believes it can have troops in a third country, despite the latter’s will, occupying some of its territories and claiming the right to intervene whenever it wants in the domestic affairs of a member state of the European Union and the United Nations. Tomorrow (15 July) is the first anniversary of the failed Turkish coup. Too much analysis has already taken place. To really understand a country, it’s always good to speak to a neighbour. My take will be on Cyprus. Journalists often ask me what could have been done better. At first, I would say a better understanding between Greek Cypriots and Turkish Cypriots. I do not mean from the point of view negotiations, but I feel that those who lost the most because of the presence of the Turkish occupation army and the possibility of a democratic choice were the Turkish Cypriots themselves. There are 220,000 people living in the occupied part, of which only 100,000 are Turkish Cypriots. The other 100,000 are settlers and a part of them is abroad, mainly in London. These people did not live in a regime of democracy because the 100,000 Turkish Cypriots accounted for 44,000 soldiers. There has never existed a more militarised region in the world. I have also said this to Cyprus publicly. The Republic of Cyprus should not only complain, rightly so, about the loss of property, places of birth, housing. But it should more intensively include the Turkish Cypriots to those who suffered – just like the Greek Cypriot refugees – from the presence of the Turkish army. So what is the message you would like to send to the Turkish Cypriot side? Since I took over the Greek Foreign Ministry, I said that first of all, we must extend a maximum of rights to the Turkish Cypriots as well as to the other three minor minorities, which many forget, but I have greatly upheld their rights (the Latins, the Maronites and the Armenians). Many people also forget the rights of those who want to define themselves as Cypriots but do not want to be part of one or the other community. I’m saying this because we have the experience of Bosnia, where there are many citizens who do not want to be classified as belonging to one of the entities that make up Bosnia. We have a number of legal judgments on this issue. So, on the one hand, the maximum of rights for Turkish Cypriots, minorities and those who do not wish to be identified as part of the existing system, and on the other hand the maximum sense of security for Greek Cypriots. This feeling continues and must exist. Turks were a bit angry with me when I told them the truth. 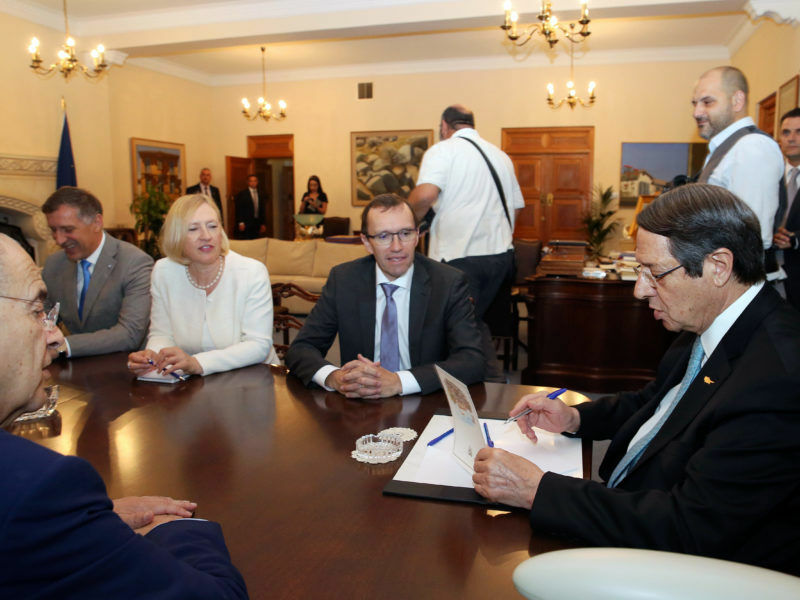 I told them that they wanted to preserve the “rights” of intervention in Cyprus with the signature of Greece. Turkish Foreign Minister Mevlüt Çavuşoğlu told me that Turkey will use this right. I asked him why he insisted. I claimed that he basically wants to get in a tank that says”the last treaty for the Cyprus issue carries the signatures of Alexis Tsipras and Nikos Kotzias and basically allows us to enter with the tanks” on its cannon. The second thing I told him was that I could not understand why the Turkish government is so obsessed with presenting the Turkish army as a guarantor of the rights of Turkish Cypriots and other citizens when we know that the head of the occupation army was arrested by Turkey as a Gülen supporter. In addition, ten of the fifteen senior officers were also arrested as Gülen supporters. The leadership of this part of the Turkish army was accused of participating in a coup d’état and they now tell us that the same people will be able to provide guarantees. Thirdly, it is not a part of the culture of the West, and in general since the Enlightenment, that a troop division would have superior authority over political leadership. Rival Cypriot leaders at a make-or-break summit in Switzerland this week will come under pressure to finally seal an elusive peace deal for their divided island or face the consequences. Will the Greek-Turkish relations be affected by the failure of the negotiations? Since the beginning of the debate on Cyprus, I expressed my wish to Çavuşoğlu that these two things should not be confused. First, the solution or not of the Cyprus problem depends not only on the guarantor powers but also on the understandings reached between the two communities and also on the referendums in this country. But I have the feeling that the persistent and tough way that the Turks wanted to give special jurisdiction to the Turkish army for the whole island and not just for the occupied area, shows a perception that is unknown to us. We will make an effort to keep Turkey on a path of democratisation and Europeanisation because if there is one country in Europe that will benefit most from a European Turkey, this is Greece. One does not choose their neighbour, but one does try as much as possible to come to an understanding with them. Now, whether Turkey wants to become a real European country or not, it something that remains to be seen. Turkey spoke about a solution outside of the UN parameters for the Cyprus issue. What is your view? Turkey did not identify what it means when it says parameters outside the UN. I think that any solution to the Cyprus problem must be within the framework of the UN and more generally, within the framework of international law. There can be no solution to the Cyprus problem by imposing mechanisms and procedures that are outside the international context. What about UN Secretary-General António Guterres’ role in the negotiations? I have an excellent opinion of the personality of the UN Secretary-General. I think he is someone who will make history in the UN. He is a serious, intelligent and experienced man. Unfortunately, his quality is in mismatch with that of others who represent the UN at different levels. Do you have a specific example about that? I would say that his quality is in disharmony with the capabilities of his Special Adviser on Cyprus, Espen Barth Eide, demonstrated during the preparation [of the negotiations]. I would also say that the UN Secretary-General’s proposals were clear. From the outset, he told Turkey that, in his opinion, nowadays there can be no intervention rights of a third country in a UN member state. I think that was crucial. Will the Brexit negotiations affect the Cyprus issue? In regard to some aspects of the Cyprus issue, Turkey has raised demands that are not directly related to the Cyprus problem but are rather linked to the special relationship it wants to have with the EU. For example, when it raised the issue of “equal treatment” of Turkish citizens in Cyprus, which is a member state of the EU, in relation to Greek citizens who are citizens of an EU member state. In answer to your question I have the feeling that some people are testing, in the demands of the Turks, the success or failure of their own demands. So what do we do from now on? Tomorrow, we have the EU Foreign Affairs Council, then we will meet with UN Special Envoy Matthew Nimetz on the negotiation process with Skopje. The country is in a complex negotiation. We have six major issues, such as the Cyprus problem and the Skopje name dispute, which we negotiate with great caution and preparation. Then I fly to Cyprus to discuss with the Cypriot government how we can help prepare a better round of negotiations on the Cyprus issue because I sincerely believe that the preparation was not adequate. You mean from Turkey’s side? No, I mean from the UN side. Because no substantial discussions on the matter took place beforehand. The Turks, in view of both Geneva I and Crans Montana, had promised us – Erdoğan himself – that the two ministers of foreign affairs, me and Çavuşoğlu, would hold some preparation rounds in order to be better prepared to negotiate. We had said that if we saw that we are not ready, it would not make any sense to call the UN Secretary-General and waste time. Unfortunately, Turkey did not want to hold these preparatory meetings, and Mr Eide also did not want to understand what I had told him two-and-a-half years ago. That the core of the Cyprus issue is security and guarantees and that he commits a grave mistake by constantly saying ‘we will address these issue in the end’. Under these circumstances, when we came to an end, there was not enough preparation to find a solution. The next time we go to discussions, we should start with guarantees and security. This is the difficult problem. The other issues follow. Turkey should realise that its demands are anachronistic and outside the context of international law. Let’s talk about the role of the EU. How did you see the EU’s participation in the talks and, above all, how can it help in the solution of the Cyprus problem? You will also meet Federica Mogherini this week in Athens. The EU is a reality that must be understood by Turkey. Turkey’s demands toward the EU cannot pass through the Cyprus issue. I would say, in view of what was discussed at the last summit – and there was unanimity among the key players – that it is not Europe that has to prove to Turkey something in order to resolve the Cyprus problem, but that Turkey itself must contribute to its solution in order to facilitate its EU path. The EU must make its position clearer, as it does not say it clearly when speaking with Turkey, that it cannot have parts of its territory be occupied by a third country and that this country has intervention rights over an EU member state. We rightly criticise Russia for its interventions in Ukraine. We support this critique and have voted on it and we also take part in the sanctions. But if Europe protests and campaigns against the occupation of a third country by a fourth, it cannot be indifferent to the occupation of its own territories from a second country. There is an asymmetry to be restored. President of Cyprus Nicos Anastasiades, often says, and I agree with him, that there would never be any government in the Baltic countries that would accept the entry of the Russian army that would act as a guarantor for these states. The average European will say that this is an oxymoron but they still accept it for Turkey as far as Cyprus is concerned. The debate on the update of the EU-Turkey Customs Union Agreement has begun. What’s Greece’s position? The Customs Union is a good tool for the development of EU-Turkey relations. Big economic interests are at stake on both sides, especially in Turkey, where they estimate that they will have about €50-60 billion of profit. So it is a lever that can be used properly in order to better develop and respond to the Cyprus problem. But we must remember that in the first step towards the customs union, Turkey showed that it wanted to separate the EU member states, between those it speaks to and those it does not, i.e. those that it recognises as states and those that it does not recognise. In order for Turkey to have a real customs union and benefit from it, it must understand that the EU consists of 28, and after Brexit, 27 member states and must accept them as such. 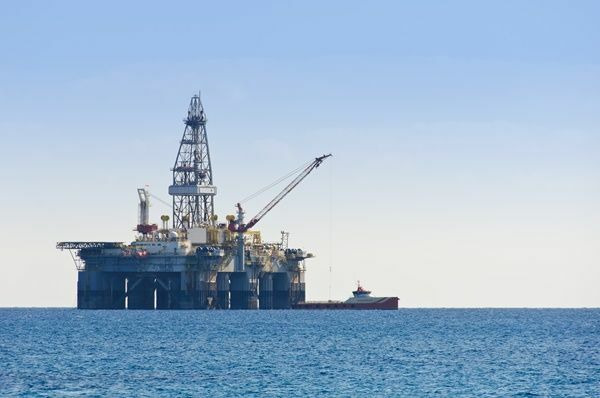 Turkey has escalated its rhetoric in the last week on gas drilling operations in the Cypriot exclusive economic zone. What is Athens’ position? If one reads Ankara’s statements, one might also understand Turkey’s insistence on maintaining intervention rights at the expense of Cyprus. We support the Republic of Cyprus in its position that the profits from this process will be attributed to the Cypriot people as a whole. Cyprus can have two communities and three minorities but the people are one. This case cannot be out of the control of international law. There are countries that have clearly raised a natural barrier against Turkey’s provocation. Tomorrow, French Minister of the Armed Forces Florence Parly is visiting Nicosia. Is it a positive development? It is a good development – do not forget that there are also french warships in the area that remind the Turks that the one breaching the law cannot be at the same time the one that enforces it. As you said before, you will see tomorrow in Brussels the UN special envoy on the name dispute with FYROM. Are you optimistic that the new government in Skopje could solve the name issue? The current government in the country has toned down [the previous rhetoric] and on a communication level it is more correct, let me say. On the substance, however, I have not seen anything new. I am waiting, though. I will go to Skopje in late August and I hope we will discuss the matter with the foreign minister because we did not address it the last time. We discussed more generally, for example, on implementing a proposal for confidence-building measures that we have been successfully promoting for the last year and a half. The problem with Skopje is not that it has one or another opinion. The problem is something that Europe itself needs to understand. Europe must “educate”, in the good sense, Skopje’s leadership to the concept of political compromise and the culture of political consensus. When I became Minister of Foreign Affairs, I told all sides that in the way ‘you spoil them’, not only do they not behave properly to us, but they will apply the same concept of politics domestically. We saw how far Gruevski stretched it. The centre-right European People’s Party (EPP) is satisfied with the new rapprochement between Skopje and Athens, as the two sides aim to unlock Macedonia’s NATO bid and open the door to EU accession talks. But some within the party counselled caution. I say to my Europeans friend, do not create a second Gruevski because Zaev has all the prerequisites to understand and be open to a real solution. We will work on this solution and I hope to find a response and avoid the interference of third parties which will make it difficult to reach this solution. The leadership of this country rightly tells me that they have great anxieties about the stability and security of the country and the region. I fully agree with them and we do all we can. We [Greeks] did not interfere in their domestic affairs, I did not make any statement during the crisis. I even said I would veto any sanctions, when some in Europe became stricter. We defend their integrity, but I tell them that if Greece is fighting for their stability and security, then they themselves should do three times as much. They should not expect concessions only from us while, on their part, due to their internal problems, not do anything. Enlargement “froze” under Jean-Claude Juncker’s mandate and many attribute the political destabilisation in the countries of the Western Balkans to it. Do you agree? I do not agree. Greece has gone through a deep crisis for eight or nine years now. It is the deepest and longest crisis since the Second World War. The institutional system of Greece, however, has worked and functioned. It is a question of depth and capabilities of a country’s political institutional system. 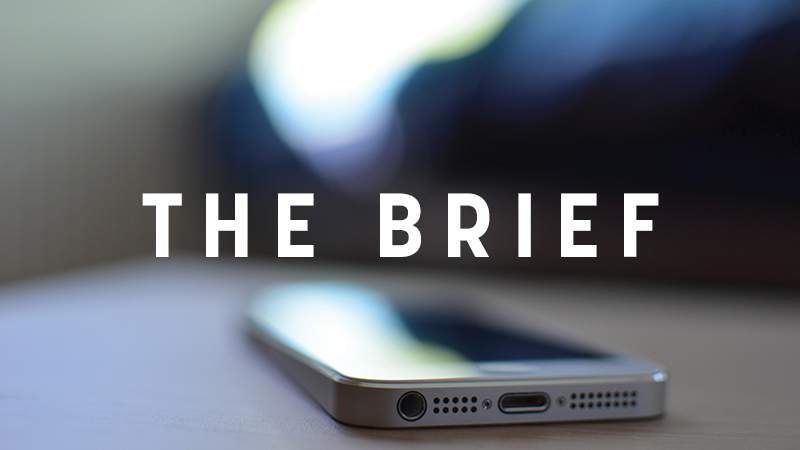 The tensions that exist over time between the Albanian element and the Slavic Macedonians are linked to whether the agreements made between these two communities are implemented or not. This is not about joining the EU or not. Two years after the referendum in Greece and the negotiation to stay in the eurozone. What do we expect from now on? If some people in Europe stop talking every day about a crisis in Greece, I speak with my experience as a foreign minister who has talked to many countries, there will be a great flow of investment and economic growth in Greece. It is difficult for some to imagine that Greece will take the path to growth and development under the leadership of a government whose form would not be sympathetic to their own country.